This level was originally created for WWWar 2. No content is added in this update. There is nothing for you here. I need to have PM conversation with you crazya02. All my moneys go to this level, for sure. Viridian's head got stuck in "Audio Mixers"
Ten out of f***ing ten. These TWO bugs didn't even come CLOSE to bringing it down. This is insane. Hmm, I'd been thinking about making an Eversion-style level for some time. Looks like there's no need, now. The story also reminds me a bit of Whirligig's CCCCCCCCCC. Yeah, that's the custom music, which I have to compliment. The song is REALLY fantastic. The Pipe Dream remix near the end is great, but there is some "patriotic" sounding part of the song just before that I can't make out. Great job, crazya02! 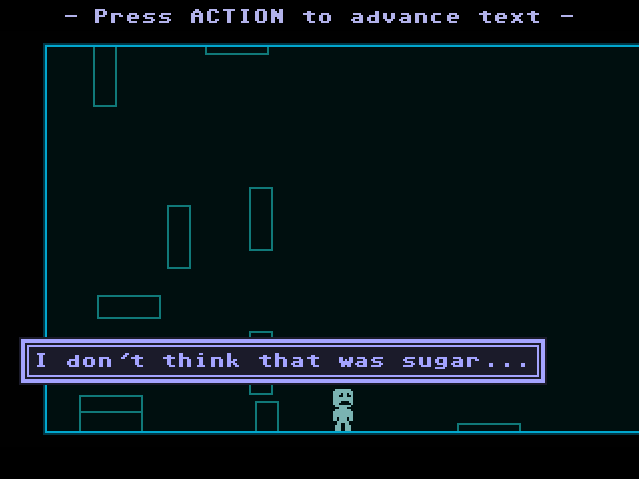 But... How to insert custom music in VVVVVV? I've gotten a lot of questions (from this thread and PMs) asking how I got custom music to work. 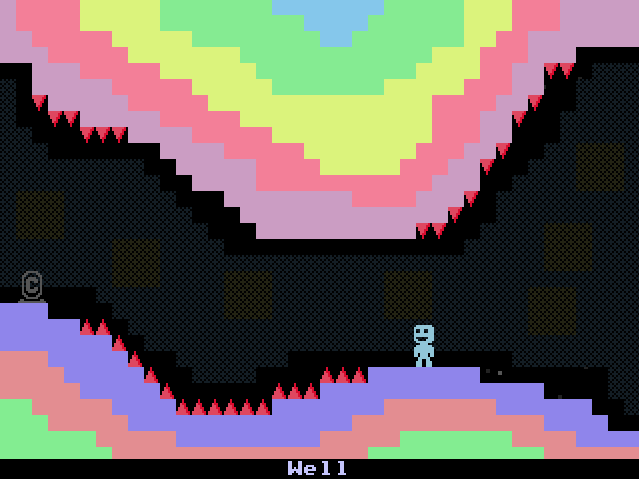 I'm planning to put together an in-depth tutorial and post it in VVVVVV Help soonish. I'm also planning on uploading "Pipe Nightmare" to Bandcamp so you can listen to it. EDIT: I just realized I'd actually pay money for Pipe Nightmare, lol. Even if it IS a remix, so is PPPPPPowerup, and that costs money too. "Pipe Nightmare" is now up on Bandcamp!